Editors Note: There is one photo associated with this press release. Newly launched Greenstock Records is proud to announce the signing of its first band, Franklins Dealers, to its label roster. A guitar driven, riff rock band from Vancouver, Franklins Dealers reach back in time and serve up familiar hooks with a new twist that create a fresh and unique classic sound. 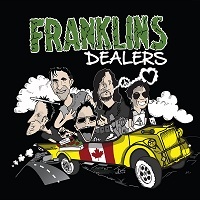 Greenstock Records is set to pre-release the Franklins Dealers EP which includes 3 original songs, Bringer of Light, Alright & Rescue Me on July 25, 2014. The songs will be available for download from ITunes, Amazon, Google Music Store & Shazam. Sample clips can be heard at http://www.franklinsdealers.com. Amanda Weber Executive Assistant Comments, "We are very excited about Franklins Dealers. Their music is really well received by the public and currently featured on Rock 106.9 The Wolf Radio. 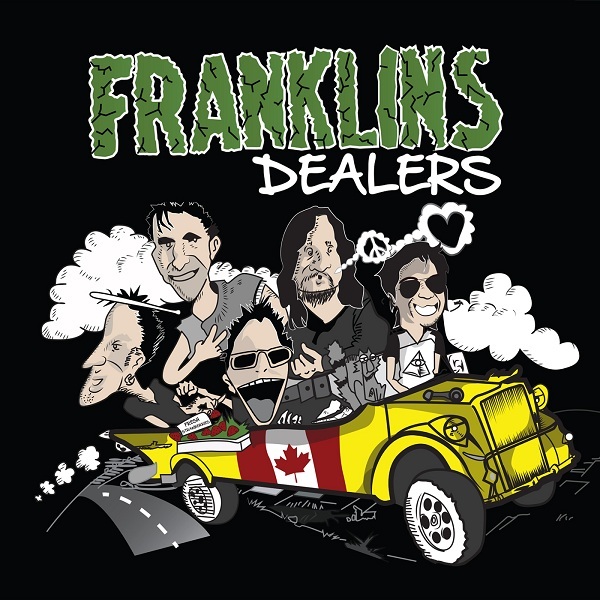 Greenstock Records is pioneering a new way of music development in Canada is looking forward to the success of Franklins Dealers on the rock charts and helping get them the exposure they deserve". About this company Greenstock Records Inc.
Franklins Dealers are Nick Brusatore: vocals, Dean Kruger: guitar, Joe Wowk: guitar, Marco Tambasco: bass and Frank Baker: drums.